As a pregnant mom, sometimes it can be tough to find a comfortable position to sleep in at night. Maybe your head isn’t supported quite right or your tummy is uncomfortable because there isn’t anything firm below it. So, you try to combat the problem with all sorts of pillows only to feel crowded and even more uncomfortable. 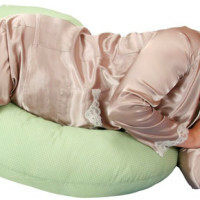 There is a way to solve this sleeping dilemma and that’s with a Leachco Back ‘N Belly Contoured Body Pillow. 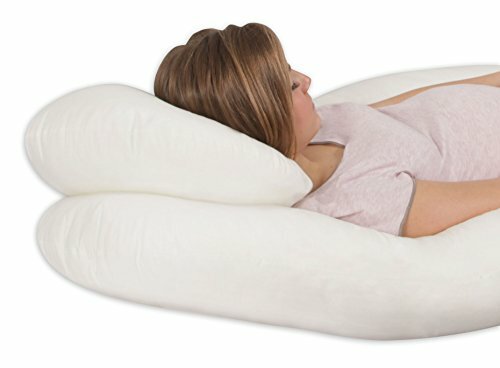 This pillow offers support for the back and belly simultaneously, allowing a mom to be to get a good night’s sleep without having to use a variety of pillows all at the same time. Not only is it a good option for pregnant women, but it’s also a good option for people of different sizes who are in need of comfort. Is a pillow designed for the entire body, offering support for pregnant women lying on their back or side. 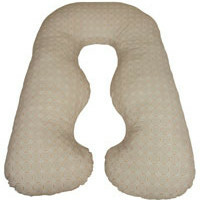 Supports both the back and the belly while elevating the head to prevent acid reflux. Firm support while also being cozy and cuddly. Comes with the pillow case already on the pillow itself. Pillowcase can be removed for easy washing. Also prevents heartburn, carpal tunnel, sciatica, and nasal congestion with its shape and design. Is a Polyester/Cotton blend at 65% polyester and 35% cotton. 51 x 33.5 x 8.8 inches. 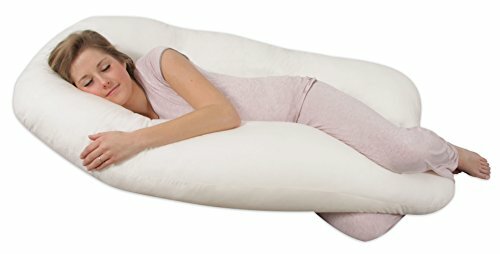 In the end, the Leachco Back 'N Belly Contoured Body Pillow is a good option for moms to be and anyone else who is looking for additional support while sleeping. Plus, it’s very appealing to the eye with its ivory color and can add to the overall look of any bedroom. 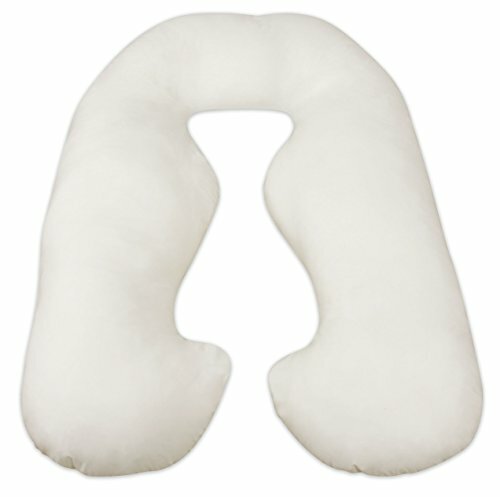 Very firm with cozy, comfortable curves that provide support for the neck, head, and back. A lovely ivory color that makes it very pleasing to the eye. Easy to wash with its removable cover. 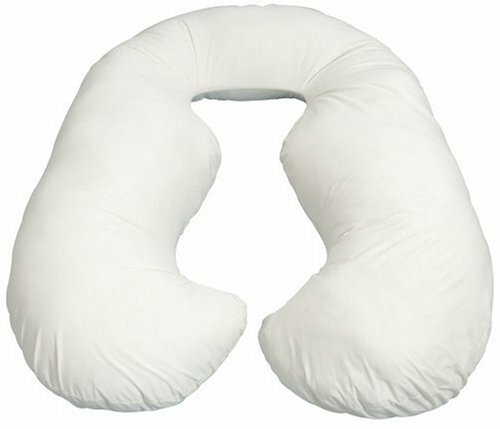 A pillow that can be used for sleeping and napping. Can be flipped to support your legs. Can also be used after the birth of a child to help support new baby while feeding. A tad on the heavy side, which can make it tough to move around. Is also a bit bulky and can make it difficult to sleep in the same area as another person.